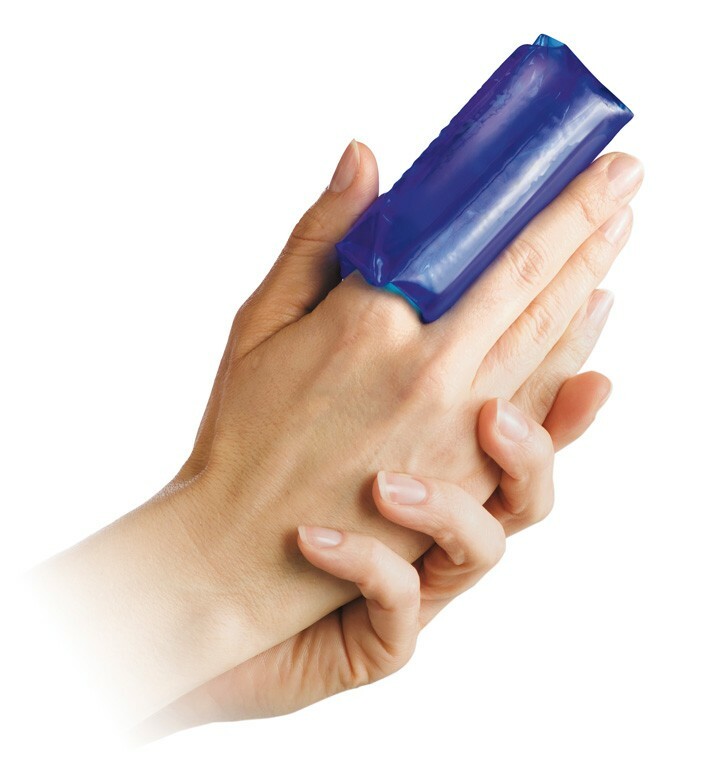 Premium cold therapy sleeve gently rolls on your finger. The sleeve design is easy to use and stays in place. The 360-degree coverage treats the entire circumference of the injured area, delivering cold therapy into soft tissues where its needed. Our premium medical grade materials stay ultra soft when chilled, allowing the Fast Freeze Cold Sleeve to mold to the body. Together, these features reduce treatment time, provide faster pain relief, keep swelling to a minimum, and greatly increase overall effectiveness. Includes insulating compression bandage to protect the skin from extreme temperatures. It also supplies slight compression, allowing the Fast Freeze Cold Sleeves to address two of the four steps in the RICE (rest, ice, compression, elevation) method of injury treatment.